Dr. Philippe Bedard is the Co-Principal Investigator of the OICR-supported Ontario-wide Cancer TArgeted Nucleic Acid Evaluation (OCTANE) study. He is a Medical Oncologist at the Princess Margaret Cancer Centre, where he treats patients with breast and testicular cancers while researching new ways to detect and treat these diseases. 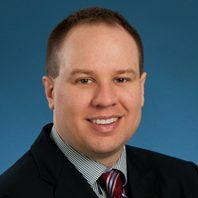 Dr. Bedard’s research interests include the use of prognostic gene expression profiles in early-stage breast cancer, neoadjuvant breast cancer clinical trials, and early drug development. He is the principal investigator for ongoing phase I and phase II clinical trials that include patients with breast cancer and other advanced solid malignancies. Stockley T, Oza A, Berman H, …, Bedard P. Molecular profiling of advanced solid tumors and patient outcomes with genotype-matched clinical trials: the Princess Margaret IMPACT/COMPACT trial. Genome Med. 2016; 8(1):109. Srikanthan A, Tran B, Beausoleil M, …, Bedard P. Large Retroperitoneal Lymphadenopathy As a Predictor of Venous Thromboembolism in Patients With Disseminated Germ Cell Tumors Treated With Chemotherapy. J Clin Oncol. 2015; 33(6):582-587. Bedard P, Tabernero J, Janku F, …, Sessa, C. A Phase Ib Dose-Escalation Study of the Oral Pan-PI3K Inhibitor Buparlisib (BKM120) in Combination with the Oral MEK1/2 Inhibitor Trametinib (GSK1120212) in Patients with Selected Advanced Solid Tumors. Clin Cancer Res. 2015; 21(4):730-8. Bedard PL, Hansen AR, Ratain MJ, Siu LL. Tumour heterogeneity in the clinic. Nature. 2013; 501(7467):355-64. See Dr. Bedard’s recent publications on PubMed or on Google Scholar. To collaborate with Dr. Bedard, please contact him directly.